This week, Oliver lost 2 more teeth. 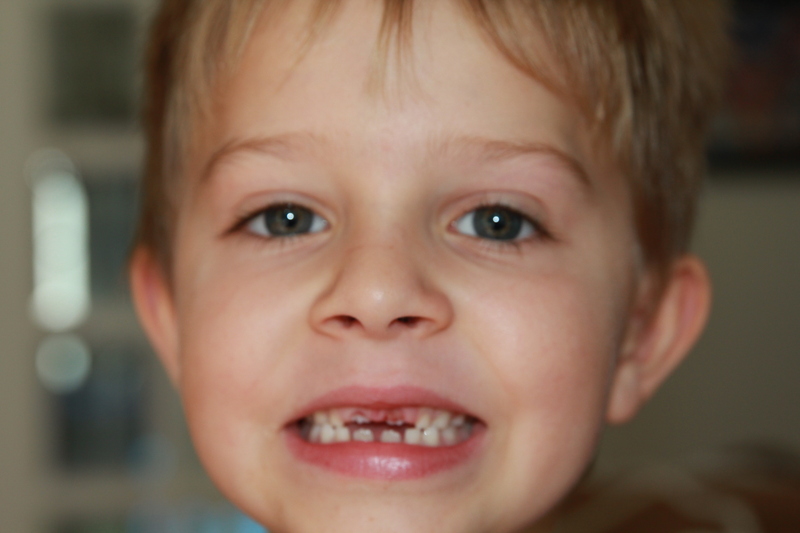 The top 2 front teeth make 3 and 4 to fall out. I say fall out, but he actually pulled both of these out himself! Top 2 front baby teeth have gone!